Pack your bags, grab your gear and step into the wild for the luxury Tanzania Safari adventure! 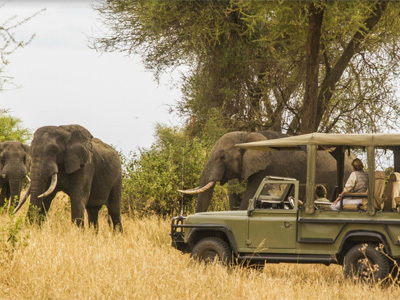 Your custom expedition offers the opportunity for unforgettable early morning and late afternoon game drives through Tarangire, Ngorongoro Crater and the Serengeti. Guided through the eyes of local experts, you will be introduced to a world of wonders, from the culture, to the wildlife and beyond! Admire the picturesque landscapes, track the herds of wildlife in their natural element and observe their habits and routines. All exclusive activities and one of a kind luxury lodging experiences have been sorted for your, so your only job is to make the memories of a lifetime and capture the photos to prove it! Known as the sunrise camp, Little Chem Chem is situated on the edge of an acacia forest in a private concession of 16,000 hectares that are shared only with Chem Chem Lodge. Flanked by the Babati mountain range to the South West and the distant hills of Tarangire to the North East, the camp overlooks the freshwater lake, Lake Burunge which attracts all manner of wildlife and birdlife. Lions roam the camp and call each other at night; stately elephants march down to Lake Burunge to get a sprinkling of fresh water; cheetahs hunt on the plains facing the lake; leopards, eland and lesser kudu can be seen in the more dense woods in the inner part of the concession. And wherever there is water, the bird life is abundant and colourful. Little Chem Chem’s intimate, elegant but authentic atmosphere, is the ultimate setting from which to explore Africa on foot. Alternatively, you can explore the Jurassic Park-style environment of Tarangire National Park in one of Chem Chem Wildlife Concessions private, open 4x4s. Full- and half-day excursions are offered and include either a picnic breakfast or lunch at a private picnic site, nestled in the breathtakingly beautiful environment of the park. Tarangire is home to the highest density of elephants and some of the largest baobab trees in East Africa. 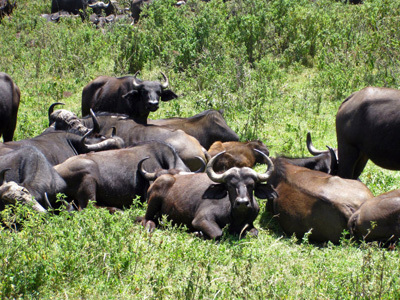 Today, you leave the Ngorongoro region and head to the Central Serengeti. The Serengeti National Park is probably the best place on the planet to spot large game. Exploring this area and admiring the wildlife in their natural habitat will never get old. You may also visit the Oldupai Gorge and Museum during your stay here. In the evening you will continue to your beautiful tented camp for stories and dinner. The Serengeti region is probably the best place on the planet to spot large game. Your days here will be spent on different game drives searching for prides of lions, cheetah, leopard and much more. 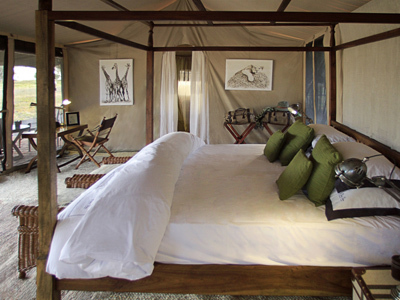 In the evening you’ll return to your beautiful tented camp for stories and dinner. Sadly, your journey must come to an end today. However, you will be leaving with unforgettable memories and the experience of a lifetime! After your final morning game drive you'll depart for the airstrip where you'll board your flight back to Arusha. Arusha Coffee Lodge features a divine aromatic and sensory experience. On the gently rolling foothills that cascade down the ever-present Mount Meru, lies the bustling town of Arusha. It is here, on the outskirts of town, hidden amidst one of Tanzania’s largest coffee plantations, that you will find the Arusha Coffee Lodge. Comprised of 30 Plantation Houses that decorate the evergreen coffee fields, the lodge was designed around the original landowner’s home, which dates back to the early 1900’s. The theme of coffee permeates throughout the property, creatively reflected in the colors, textures, styles and designs. The camp is surrounded by the characteristic landscape of the Tarangire River with its impressive Baobab trees and overlooks the freshwater lake, Lake Burunge. The Babati mountain range offers a magnificent backdrop to the south-west, with the distant hills of Tarangire visible to the north-east. The atmosphere at Little Chem Chem is welcoming, elegant and oozing authenticity of a bygone era. The luxury of sharing 16,000 ha with only 10 guests sets the ideal stage where you can perfectly blend into the wilderness. Little Chem Chem offers five exquisitely decorated tents, each with a large bedroom (three have king-size beds, two offer twin beds), with a rocking chair and study desk, a vanity area with dressing room and an en suite bathroom with a shower and flushing toilet. Embracing an ‘Out-of-Africa’ atmosphere each tent also offers a private fire pit with flames that mesmerise you as the sounds of an African night come to life all around to you. Gibb's Farm lies at the heart of Africa's Great Rift Valley in a tranquil spot in the Ngorongoro Highlands, just 5km from the village of Karatu in Tanzania. It’s the perfect place to explore beautiful scenery, go on guided walks to nearby waterfalls or take part in a bird-watching trip, or take a drive to the Ngorongoro Conservation Area which hosts one of the largest concentrations of wildlife in Africa. 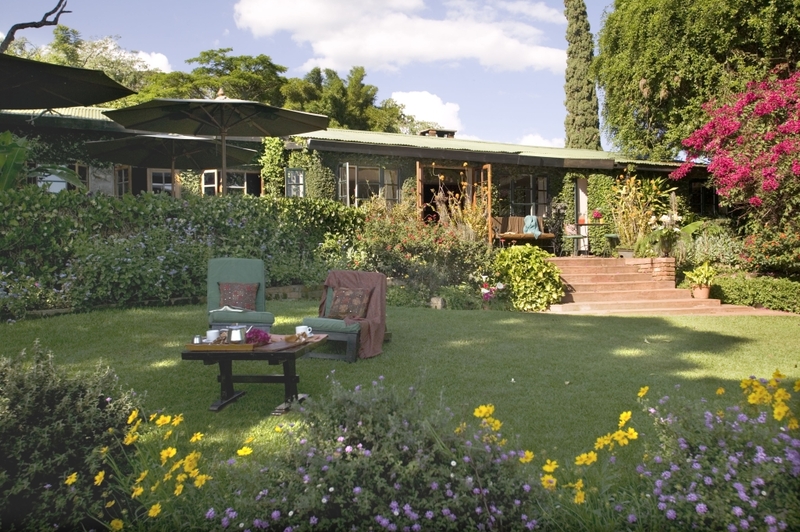 Each of the 20 cottages at Gibb’s Farm features rich wooden floors and classic interiors adorned with artwork, a wraparound fireplace which warms the bathroom and living area, and wraparound windows combine to create cozy accomodations with panoramic views of the gardens and Ngorongoro Forest Reserve. Enjoy watching a daily coffee bean roasting session which takes place on the patio; along with buffet-style breakfasts and lunch, and set 4-course meal dinners. Ehlane Plains Camp is established in the far eastern plains of the Serengeti, a remote and wildlife-filled pocket of the savannah; this is where your dreams of wild Africa comes alive. ‘Ehlane’ is a Zulu word which translates to ‘wilderness’. Ehlane Plains has embraced just this ‘wilderness’ concept by introducing the first ever in the Serengeti plains, Star-Gazer sleep out platform exclusively adjacent to three tented suites allowing you to sleep under a ceiling of star-studded night skies. It is here in the Soit le Motonyi region, far from the Serengeti transit areas, that you are able to find something wild and spectacular in this rough, unspoiled country. This exclusive expanse of the Serengeti where the Acacia woodland borders the great savannah, attracting herbivore masses of elephant, giraffe, zebra, warthog and more. The camp offers eight tents designed to merge with the eco-system, all under canvas and all with clear vistas of the wilderness ahead. The camp is open, no borders or rails, the wildlife comes and goes. Stay alert, eyes open. The thrill of the safari from the silver screen is here. Each tented suite is spaced for privacy but prepared for safety. This is just one of many authentic travel experiences offered by Global Basecamps. If you are interested in more unique destinations to Tanzania with unprecedented planning and extraordinary service visit our main luxury Tanzania safari tours page to browse other sample trips.